If you are looking for a luxury cashmere sweater to keep out the cold, try cashmere brand London W11. I find their thick cashmere sweaters ideal for English summer evenings which can be notoriously unpredictable and often rather chilly. London W11 sweaters are stylish and warm. Personal favourites include the high roll neck jumper and the rather fun fringed jumper, both look lovely with a pair of tight jeans and are incredibly effective at keeping biting chills out. Cashmere brand London W11 is the brainchild of fashion expert and cashmere specialist Eva-Maria Khan, who launched her label after 25 years in the industry. Working internationally in fashion and business capitals such as Paris, Milan, Hong Kong and Munich, her experience spans from buying, to wholesaling and product development for brands including Dior, Prada, Calvin Klein, Helmut Lang and Jean Paul Gaultier. 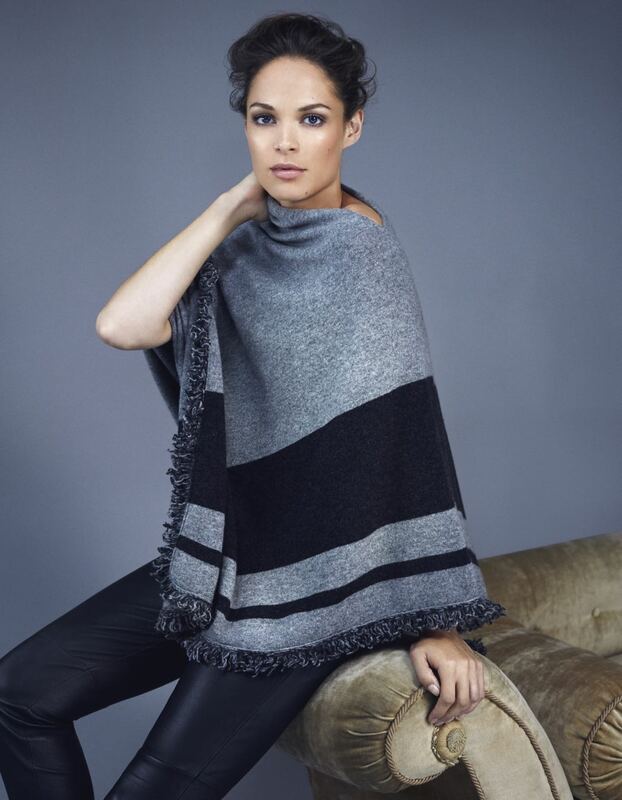 Eva-Maria has identifed a gap in the market for versatile cashmere that is both luxurious and affordable. Taking inspiration from the core items that make up the wardrobe of many female working professionals, similar to that of herself and her friends, she created the London W11 range. Named after the vibrant Notting Hill area, much like Eva-Maria, the W11 collection has international origins. The range is produced in Italy and Scotland by partners who have a long heritage in making the nest cashmere possible. London W11’s commitment to the highest quality of cashmere bre is illustrated in the number of goats sheared to produce the raw cashmere bre required to knit just one item. Typically the bre from four goats is required for the production of one cashmere jumper, whereas London W11’s highest quality yarn requires the bre from eight goats. London W11 clothing is now available online. The collection includes a full range of cashmere pieces from sweaters, polo necks, ponchos and jackets to specialist loungewear pieces including joggers, shorts and cashmere robes. The neutral colour palette features soft grey, bright navy, biscuit and caramel beige tones, slate grey and classic black. Detailing is key to the brand’s identity with silk trims and velvet edging. Coats and cardigans feature unique mother of pearl buttons engraved with the logo. Each piece can be machine washed on a wool setting making it easy to wash and wear again. Complementing cashmere scarves with exclusive prints, add a ash of bright autumnal colours.